The Duke 676 water pan sits over a heating element and holds food pans over the steam rising from about one inch of water. 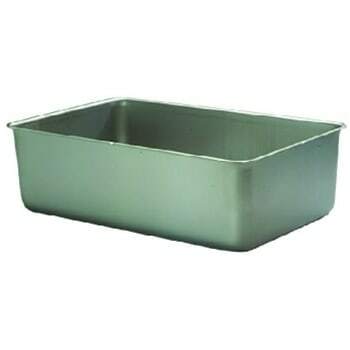 This pan is made of stainless steel for corrosion and scratch protection. To support cleanup, its corners are rounded so that debris is less likely to get stuck. Although it is especially made for Aerohot food warmers, it can work for Thurmaduke units with a blanked-out top opening, as well.